Kuopion Palloseura Sport Director Konstantin Shipulin praised Egyptian star Abdallah El-Said after the latter the Finnish side on loan from Al Ahly. El-Said was transfer-listed by Al Ahly following the saga which saw him sign for the club’s eternal rivals Zamalek before going back to renew his contract. The player now joined Finnish side Kuopion Palloseura on loan until the FIFA World Cup. “Abdallah is a big name and very high-level player, we are happy to have him here,” Konstantin Shipulin said after the Egyptian star joined the club. 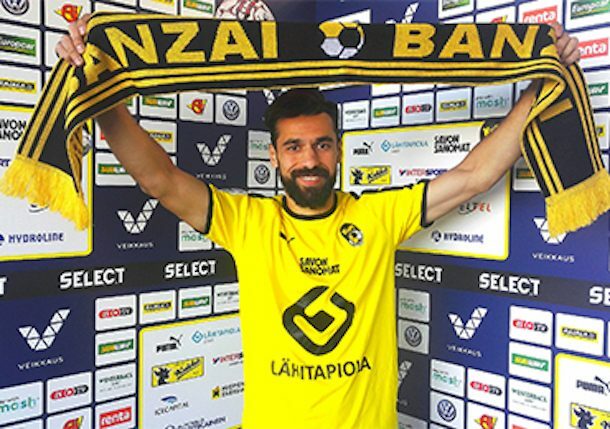 Kuopion Palloseura finished last season as runners-up in the Veikkausliiga behind HJK Helsinki, the club striker Amr Gamal joined on loan. They are set to participate in the preliminary rounds of the UEFA Europa League this season. “An opportunity for signing him appeared during the last days of the transfer window, and I must note the well-coordinated work of our club’s scouting and managing departments,” he added. ” He also pointed out Al Ahly’s professional manners and cooperation to finish El-Said’s move. “We wish good luck to Abdallah and believe he will be a noticeable player in World Cup,” Shipulin concluded.